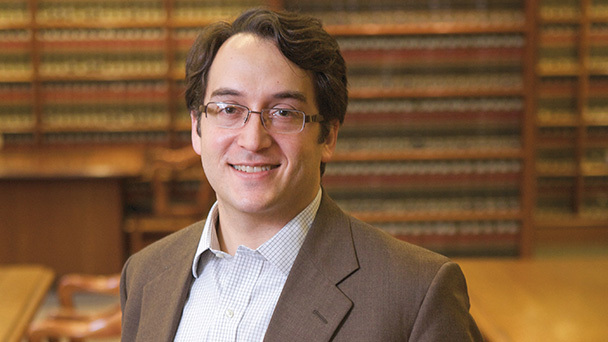 Ryan Goodman is co-faculty director of the Center for Human Rights and Global Justice. He is also a co-faculty director of the Center on Law and Security, and founding co-editor-in-chief of Just Security. He is the Anne and Joel Ehrenkranz Professor of Law and a Professor of Politics and Professor of Sociology at NYU. Prior to moving to NYU, Ryan was the inaugural Rita E. Hauser Professor of Human Rights and Humanitarian Law and Human Rights Program Director at Harvard Law School. He received his JD from Yale Law School, where he served as an articles editor of the Yale Law Journal. He received a PhD in Sociology from Yale University. After law school, he clerked for Judge Stephen Reinhardt of the US Court of Appeals for the Ninth Circuit. Ryan serves on the Board of Editors of the American Journal of International Law and on the Board of Editors of International Theory. He is a member of the US Department of State’s Advisory Committee on International Law, a member of the Council on Foreign Relations, a member of the US Naval War College’s Board of Advisers for International Law Studies, and a member of the Board of Editors of the American Journal of International Law. His articles include “The Detention of Civilians in Armed Conflict,” (American Journal of International Law, 2009), “Humanitarian Intervention and Pretexts for War” (American Journal of International Law, 2006) and “How to Influence States: Socialization and International Human Rights Law” (Duke Law Journal, 2004) (with Derek Jinks). He has also co-authored several books, including International Human Rights in Context: Law, Politics, Morals (Oxford University Press 3rd ed., 2007) (with Philip Alston and Henry Steiner), and Socializing States: Promoting Human Rights through International Law (Oxford University Press, 2013) (with Derek Jinks).